Sweet, yeast bread with nuggets of cinnamon scattered throughout. 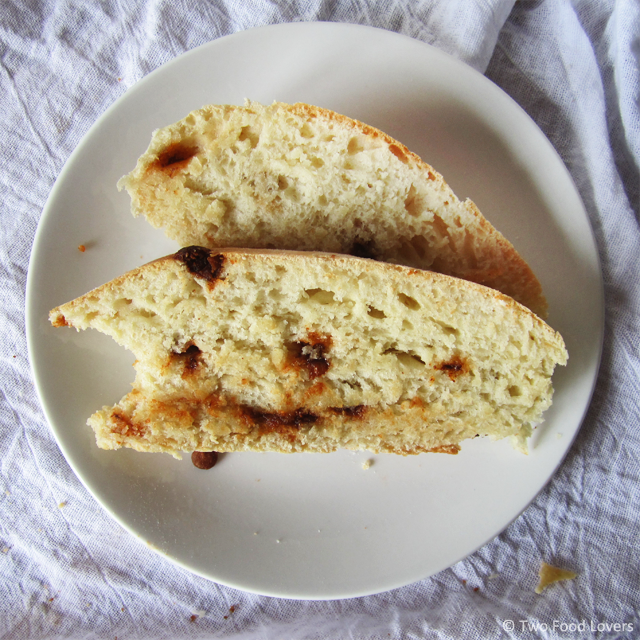 This Homemade Cinnamon Chip Bread is delicious and great for breakfast or a snack. I. Love. Bread. But seriously you guys, this bread. Oh my. I ate a good 2/3 of the loaf by myself. It was so moist, lightly sweetened and just so darn delicious. The bread was still warm when I took this shot (above). Mmmm...I can still smell and taste it. Heaven. Would anyone else want to join me in starting a Carb Lovers Anonymous group? I think I have a problem. Every time I think about a meal, my brain instantly goes to carbs. "What will my carb be?" "I'm having a salad for lunch, I'm going to need crackers." "I had rice for lunch, is it ok to have pasta for dinner? 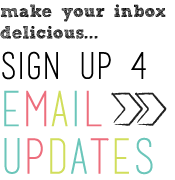 Yes,"
Maybe instead of a support group I should just start a Bread of the Month Club. I bet there's tons of men and women who crave carbs as much as I do. I bet Dr. Oz has something to say about my carb cravings, but I don't want to know what it is. 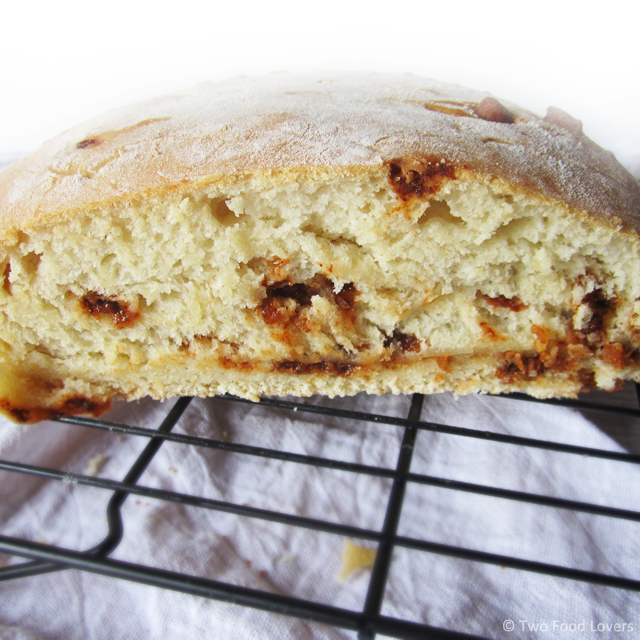 The dusting of flour on top of the loaf is from the kneading process. Don't worry, it didn't dry the bread out. But back to this Cinnamon Chip Bread. Just make it. Please. I know that for some, breads are intimidating, but I promise they are not hard. Patience with the yeast is the biggest part to successful breads and rolls. 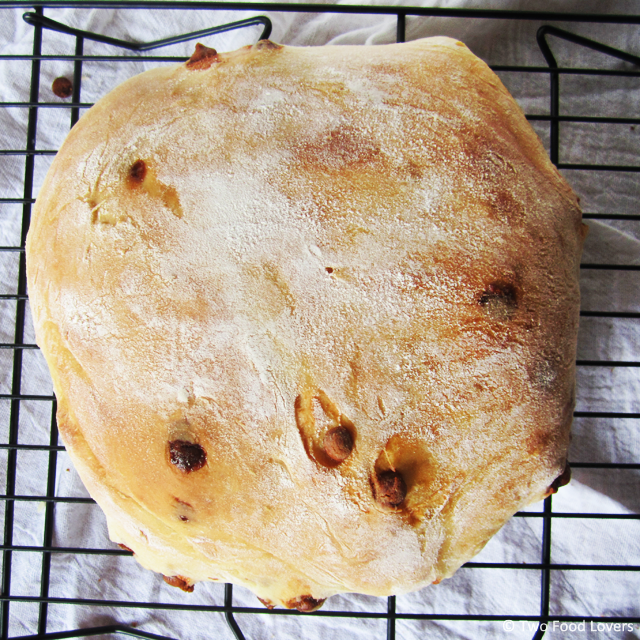 I will say that the cinnamon chips in this bread were a little tricky to work with. I only say this because as I was kneading and rising my dough (after adding the chips), I noticed that they like to get a little melty and turn the dough orange. 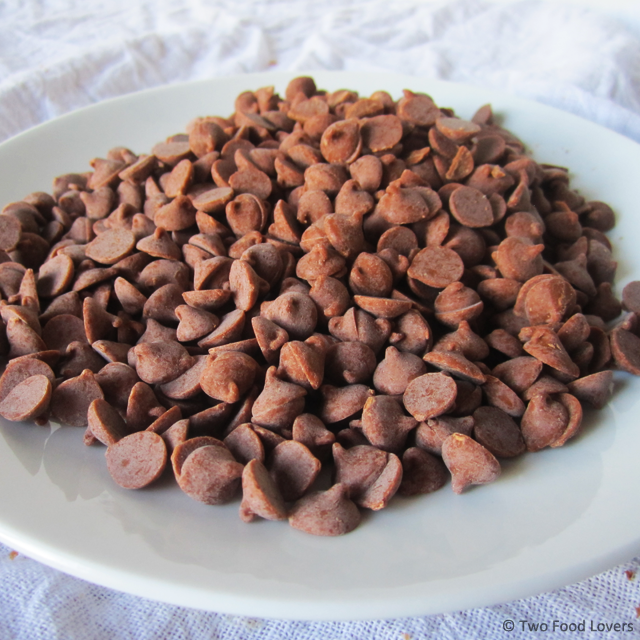 I used Hershey's Cinnamon Chips for this recipe. I actually chilled my dough at one point to get it cool again before the second rising and baking steps. You don't have to do this as melty chips don't affect the taste of your Cinnamon Chip Bread, but I wanted to make sure mine looked pretty for the pictures I planned to share with you lovelies. The inspiration for this recipe came from an chance encounter with Great Harvest Bread Co., here in Lawrence. Dave and I ran an early morning 5k in September. I was not happy because I typically eat breakfast early in the morning, however I skipped it, knowing I would be running. At the finish line of the race, Great Harvest Bread Co. was handing out rolls of this cinnamon chip bread and I about fell over when the sweet bread met my mouth. I went back and nabbed two more rolls. Then went on to eat a full plate of breakfast at Big Biscuit. I can throw down some food in the morning. After that, I dreamed of this bread. It was so heavenly. So I set out, determined to replicate the recipe. I convinced the girl at their store to give me the nutrition label so I could see what ingredients were in their recipe. While this bread isn't spot on, it's still just as delicious, and your home will smell like bliss while it bakes. Step 1: Preheat oven to 180° F. Grease a large, metal bowl and set aside, or plan to wipe your bowl to your stand mixer clean after kneading dough. Once oven has been on for at least 15 minutes, and reached 180° F, turn oven off and leave door closed to hold in heat. Step 2: Mix the yeast and sugar in the bowl of a stand mixer. 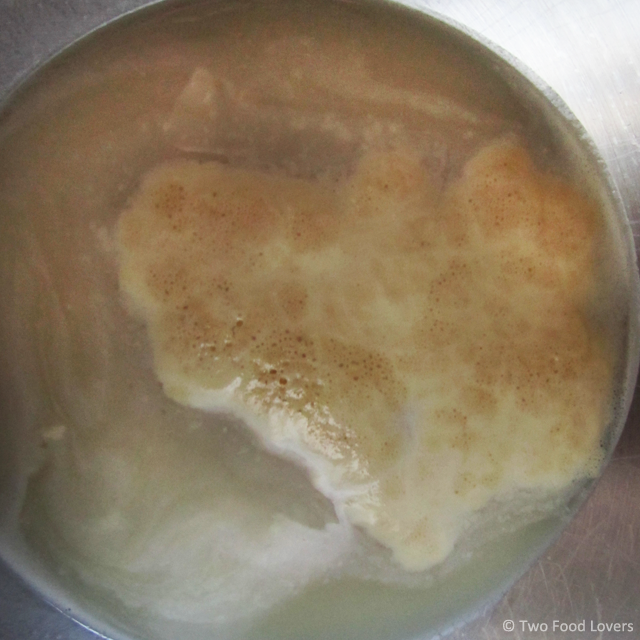 Pour the warm water over the yeast mixture, and let stand for 10 minutes to bloom. You will know the yeast has bloomed when there is brown, puffy foam on the surface of the liquid in the bowl. After 10 minutes, once the yeast has bloomed, whisk in the warm milk, oil, egg and vanilla. Step 3: In a separate bowl, sift together the salt and flour. Slowly add this dry mixture to the wet mixture in the bowl of the stand mixture. 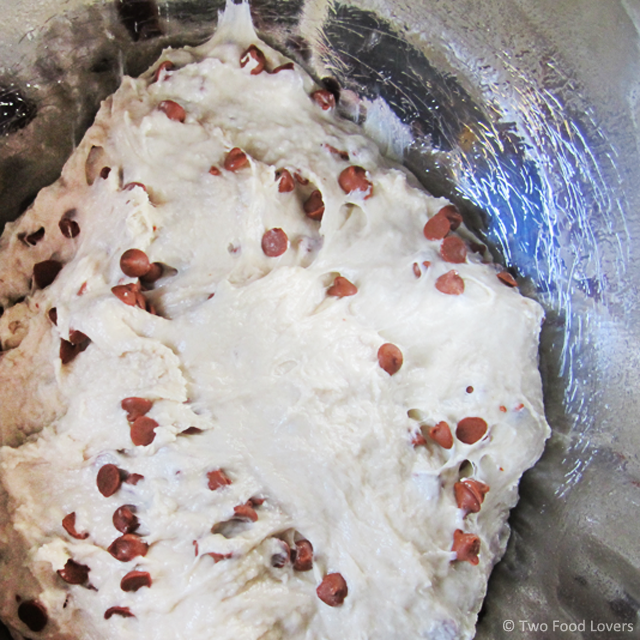 Stir on low with the dough hook attachment for 1-2 minutes to combine, then add the cinnamon chips. Mix until the dough starts to pull away from the sides of the bowl and is smooth in texture, about 5-7 minutes. The dough will be sticky. Step 4: If using a new bowl, transfer dough to the greased bowl from step one. If using the same bowl, set your dough on a lightly floured surface, wipe the bowl to your stand mixer clean, grease, and return dough to bowl. Dampen a light towel and cover the top of the bowl. Set your dough in the warmed oven, close door, and let dough rise for 60 minutes, or until it has doubled in size. Step 5: While dough is rising, grease two 8 or 9 inch cake pans. Once dough has risen and doubled in size, remove from oven, turn oven heat up to 350° F, and gently punch the dough down. Turn dough out onto a floured surfaced and cut in half with a pizza cutter. Shape each half into a round disc and place in greased cake pans. You can also choose to pinch off chunks of dough and shape into balls, arranging in the cake pans so there is a little room for the dough to grow. These will make bite size, pull-apart bread rolls. Once in the pan, let the bread rest for 15-30 minutes more. Bake 20-25 minutes. Tips: Handle the dough as little as possible. 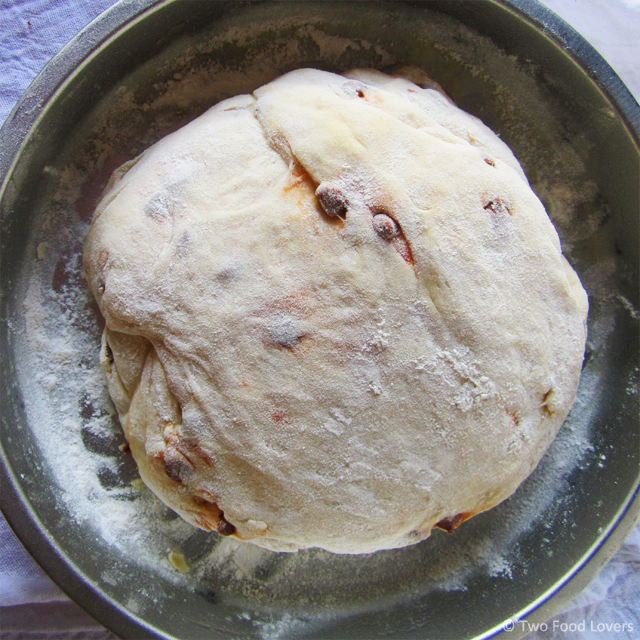 The heat from your hands will warm the dough and cause the cinnamon chips to melt and turn your bread orange. Store wrapped in plastic wrap, in an air-tight container. Make-Ahead Method: You can make this dough all the way up to the last step, before baking, and then freeze the dough and bake at a later date. I shaped my dough into balls, placed on a cookie sheet, and froze until they were solid. I then transferred the frozen rolls to a freezer bag. When ready to bake, arrange the rolls on a parchment lined pan and let them thaw and rest for 30-60 minutes before baking 20-25 minutes. Baking times may need to be adjusted depending on how long you let the bread thaw. Blooming yeast in warm water mixture. See Step 2. Dough after kneading in Step 3. 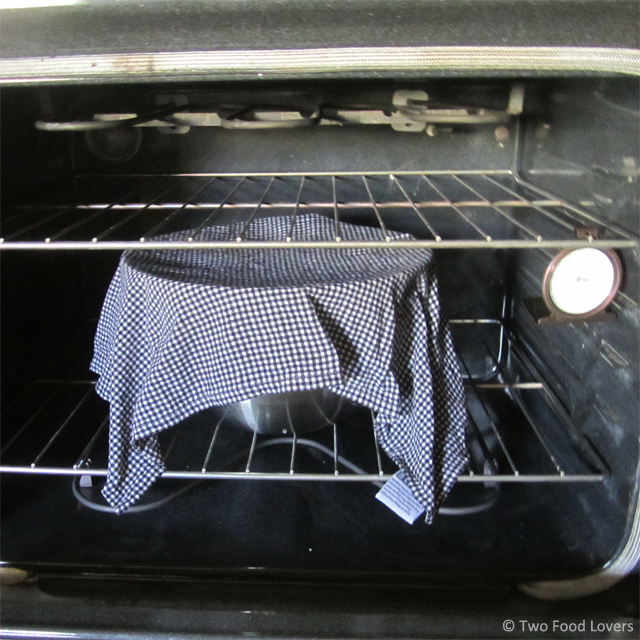 How I cover my dough to rise in the oven, Step 4. Prepared loaf, ready to go into the oven, Step 5.